Led by a referee and his assistants, two teams of players march out on to a pristine pitch as Handel’s Zadok the Priestis played over loud speakers and a crowd of thousands waits in anticipation of the game to come. 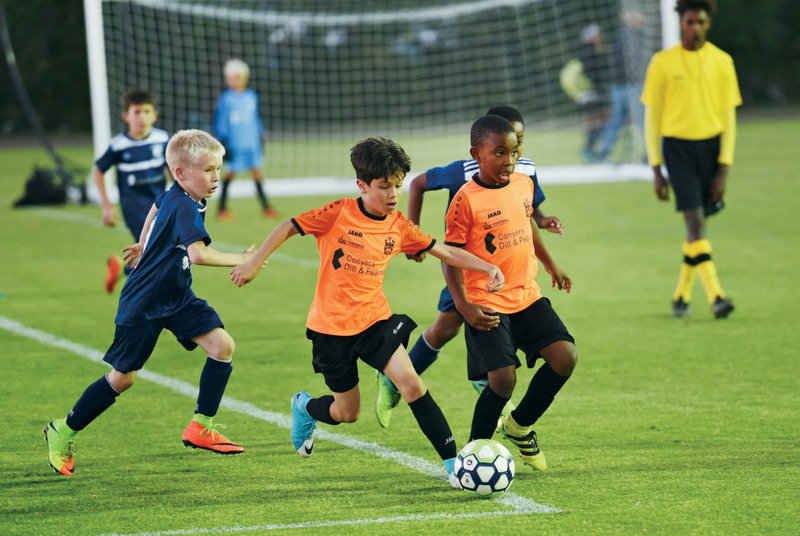 It is a familiar sight to anyone who has watched the Uefa Champions League over the past several years, and now it is happening, minus the crowds, on the North Field, at the National Sports Centre, in Bermuda. 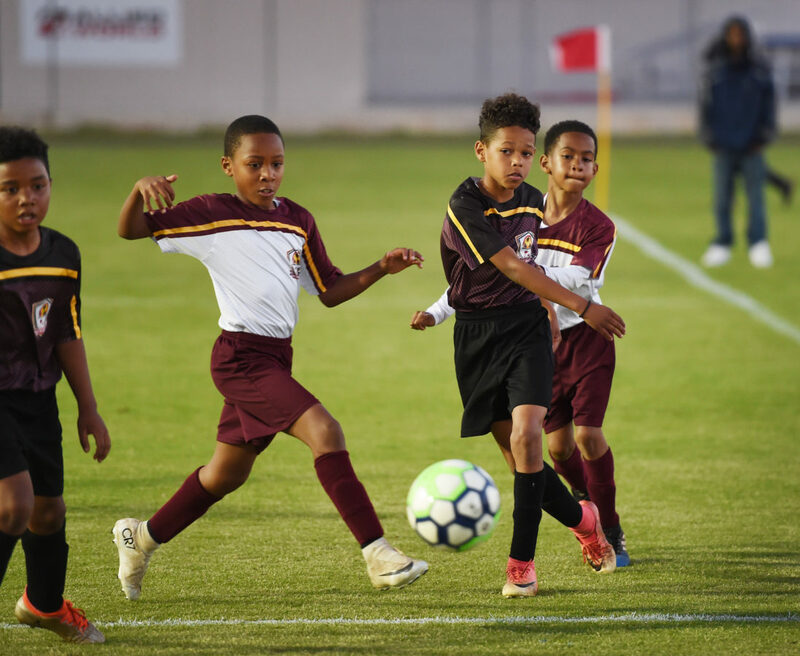 The brainchild of Kenny Thompson and Andrew Bascome, the Youth Football Super League Bermuda is the latest attempt to provide ‘serious’ football competition for local players with aspirations of being the next Lionel Messi, Christian Ronaldo, or Nahki Wells. A league aimed at players from the under-9 to under-15 age groups means for many involved that dream is still very much alive. On Monday evenings the island’s young footballers play in their own champions league under lights in an atmosphere that while not quite electric, has the feel of a competition that carries as much weight for the players here as it does elsewhere. It is a place where, for a while at least, those taking part can believe anything is possible. It is not a chance that the island’s best young players have always been given. There is a valid argument to be made that the likes of Shaun Goater, Kyle Lightbourne, Reggie Lambe, Nahki Wells and others succeeded despite the system they were developed in, rather than because of it. 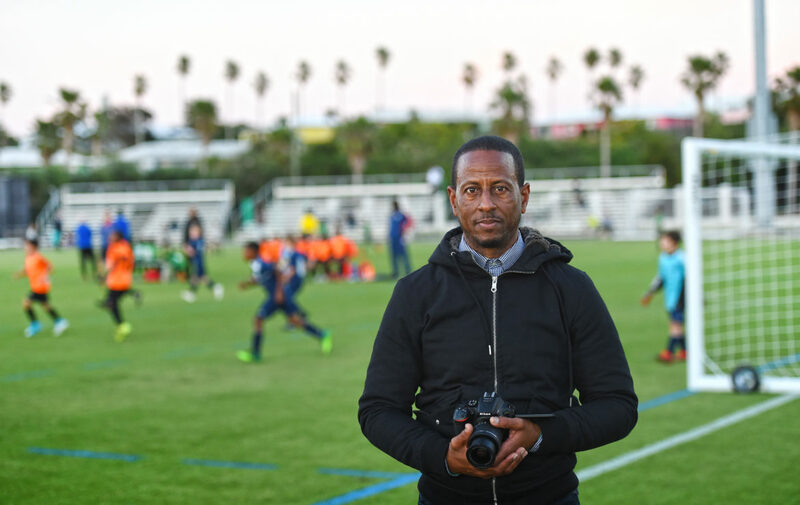 The gap in youth development has long been recognised as being an issue in Bermuda; it is a gap that Thompson, Bascome, and the Bermuda Football Association, who support the initiative, are hoping to close. Thompson knows what it feels like to be let down when, as a young player in Bermuda, your expectations aren’t met. He and Bascome were what he terms ‘serious players’, ones whose approach even in the week preceding a pre-season friendly was dominated by training, eating, and sleeping right. He quickly learnt that not everyone felt the same way. “I would take it very seriously, and then arriving for the match that all falls out of the window because I’m taking it seriously, but there are no goals, the field is not marked, there is no official referee, no uniforms,” he said. “There is a level of disappointment there, and that was a recurring situation, and that’s pre-season. The league matches weren’t that bad, but still there was a feeling that we weren’t serious. In many ways it didn’t live up to our expectations. 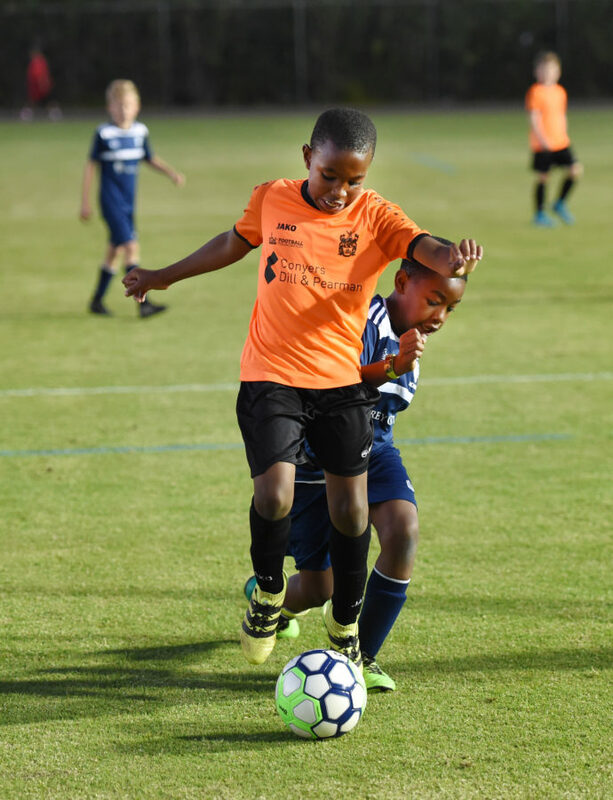 With knowledge comes a realisation from young players that in many ways they were being short changed by the system that Bermuda had in place for developing the skills of the next generation. “These serious players, we give them what amounts to be nothing more than just a kick-about – an open space with a football, two teams playing, that’s about it,” Thompson said. “And that has its place, definitely has its place, because everybody should have the opportunity to play football. 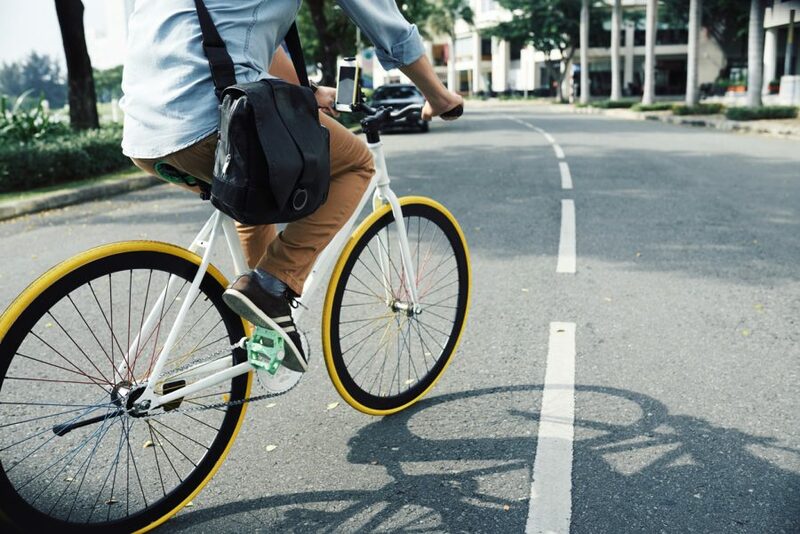 But, for those serious guys, their expectations are much higher than any other generation before. Player development is not something new to Thompson or Bascome, both have tried their best to improve football on the island at a variety of levels. The new competition was the result of a realisation of their own, that something serious had to be done to serve the ambitions and abilities of the island’s talented young players. “We felt that this was the time to do something very, very serious for youth football; something that spoke to meeting the expectations of young players,” Thompson said. Serious meant competition, a pathway for players to improve, coaches who understood that making mistakes is as important in player development as winning, and that building character, moulding a professional mindset was all part of what was missing. Thompson knows that the percentage of players who actually make it as the top level is impossibly small when compared with those that dream of making it. 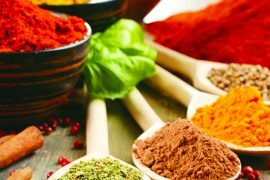 But, he also knows that being exposed to a serious environment early can lead to an ability to have a career off the field as well. “It’s the same whether their ambition is to be a professional footballer, or the ambition is to get a college scholarship, the demands are the same,” he said. “It’s going to take sacrifice, it’s going to take perseverance, it’s going to take really hard work. You have to better than the next person, it’s all the same. “With this competition we are building that mentality to give the next Nahki Wells a really good chance to succeed. I’m so proud of Nahki, and Reggie (Lambe) and others, and the thing is they’ve done, they’re doing it, but they’re doing it despite [coming from Bermuda] not as a result of some system that we had in place.